Showcasing the authentic flavours of India in a fine-dining setting, Zari’s wide selection of dishes has earned our popular its reputation as one of the leading Indian restaurants in Crawley and across West Sussex. We are proud to have diners travelling from nearby Gatwick, as far away as Brighton and across the south-east to delight in our cuisine. Zari’s warm and luxurious Indian ambience is lovingly created by owners Almara and Sadique. It combines Jaipur stone with walnut wood and colourful Indian silks. The stunning dishes we create also reflect the many different regions of India. 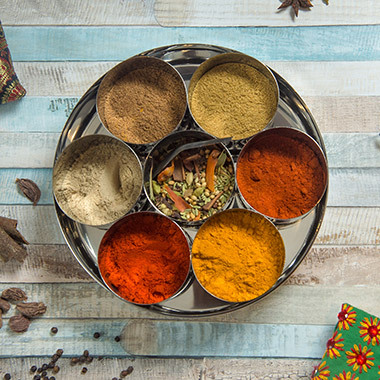 All are created by talented and highly-experienced chefs, who combine contemporary techniques with classic recipes to create Indian dishes unlike any other in Sussex or the South. Our glass-walled exhibition kitchen is one of the signature features of the restaurant, allowing you to watch the chefs skilfully at work as they prepare and freshly cook your meal, using only the finest quality ingredients, with no artificial flavourings or preservatives. Zari choose locally-sourced produce wherever possible – check out the char-grilled Sussex Hill lamb chops or the Sussex Cox apple and Chilli Sorbet, to name just a few. By using trusted food suppliers there is a guarantee that no ingredients are genetically modified, and through opting for fresh ingredients and low-mileage food, Zari continues to show their commitment to sustainability and the environment. Zari is delighted to offer a selection of healthy options. We also have an excellent vegetarian range, Indian grills and low-fat options that are all clearly marked on the menus. We also offer gluten-free and nut-free dishes; there’s a special menu for children too. Zari has consistently won “Gold” at the Crawley “Eat Out Eat Well” Awards; a scheme which recognises establishments that provide healthier menu options. 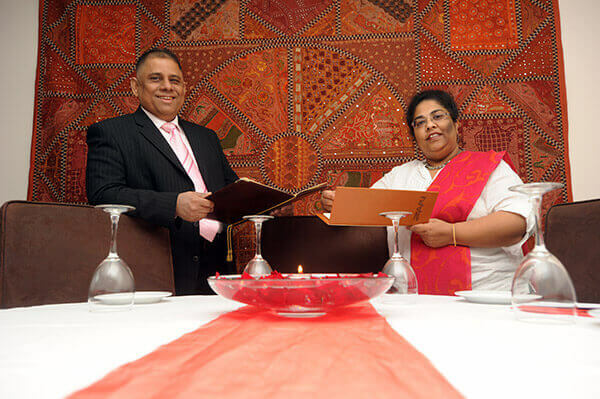 Zari is run by husband and wife team, Almara and Sadique Miah, along with head chef, Osman Ali, who have a combined 65 years of experience between them. Together, they have hand-picked an international and local team of skilled and experienced restaurant staff to provide outstanding service, always with a personal touch. The expert chefs all have five-star experience and specialise in Tandoor dishes and regional cuisine. There is even a dedicated dessert chef and the brilliant bar staff are continually crafting new cocktails. Skilled waiting staff are always on hand to tend to your every need and are more than happy to offer advice if you have special dietary requirements, allergies or preferences, or if you would simply like some recommendations. 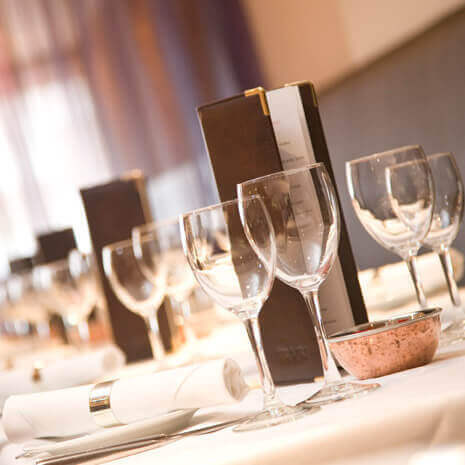 WHAT PUTS ZARI AMONGST THE TOP INDIAN RESTAURANTS IN CRAWLEY AND SUSSEX? Zari owes its success to the loyalty of its customers and we take pride in listening to you and ensuring that your visit is always a memorable one. We have many local visitors from Crawley, as well as those from Gatwick, Brighton and beyond, that return time and time again, becoming long-term friends as well as valued customers. 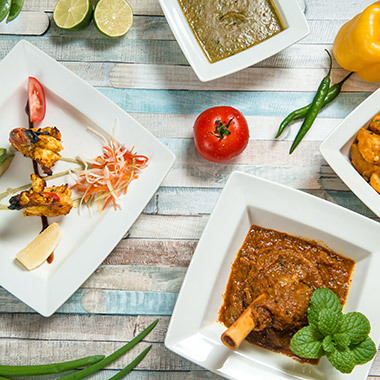 Come and explore the diversity and flavours of regional Indian cuisine at Zari Indian restaurant in Crawley, book your table now.